As with all art forms, the cinema offers a wide and far-reaching platform of expression, one that may be used to provoke many contrasting ideas and opinions. The moving image can be used for good or evil, hate or love, war or peace. Cinema can be more powerful than a bomb when used tactfully and strategically. Using narrative as a shield and style as a sword, films can create passion for historical revolutions on and off the screen, be it by discreet whispers or monstrous explosions. Two of cinema’s most striking examples of revolution on-screen are Gillo Pontecorvo’s The Battle of Algiers (1966) and Sergei Eisenstein’s Battleship Potemkin (1925) One acts as a heroic battle cry, the other as a subtle nightmare. The films are extremely powerful in representing the struggles of revolutions on-screen. They are driving forces in their depiction of Marxist ideology, the freedom of humanity and the power of violent and revolutionary protest. The scene is designed in such a way to leave the audience siding completely with the people of Odessa, but it is easy to forget a key point. 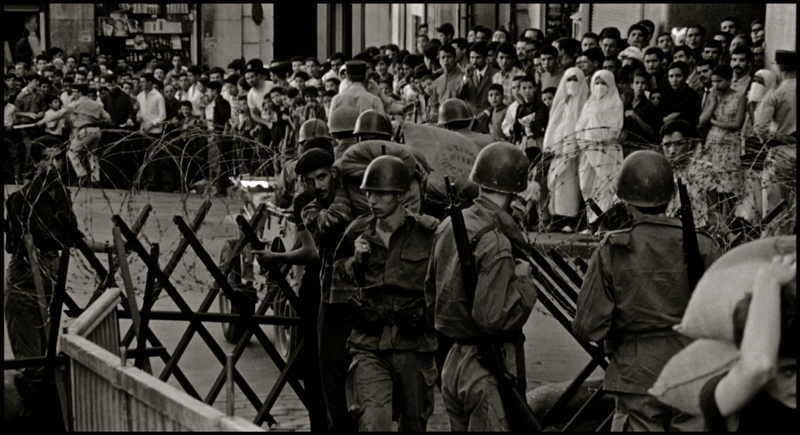 If these civilians did have guns, and were able to fight back, as the FLN in The Battle of Algiers. Would they commit acts of terror? Might they become a faceless pack of murderers? These questions are what makes The Battle of Algiers feel equally sided, and leaves Battleship Potemkin feeling as propaganda. The FLN are not a strong brick wall of intimidating men, rather a field of scattered land mines, hiding beneath the surface, out of sight, ready to explode. They are organised in small tactical groups with contrasting opinions and personalities. These men are given individual needs and three-dimensional characteristics. This is how the film also depicts their struggles in revolution, as individual and personal, with each small part adding up to a wider sociological frustration. Unlike Battleship Potemkin, The Battle of Algiers is not structured in such a way of back and forth protest and resistance. It feels more messy and jumbled-up in tone. Until its final scenes, the film is itself unsure that either side will ever stand triumphant. The upper hand travels between the two sides discreetly, until we see in the film’s conclusion, Algerian people in celebration at their victory. In these moments it becomes clear that The Battle of Algiers secretly stands by the people of Algeria. The final shot of a woman waving the Algerian flag is a haunting image, but one that examines sympathetically and heroically. Battleship Potemkin feels sure that it is rooting for the winning team all along. “It is lucid and dispassionate in its examination of the tactics of both sides.” (Ebert, 2004) The structure of the film’s narrative treats all men as equals, it analyses them objectively, and casts a dark hazy shadow over its devastatingly necessary subject. 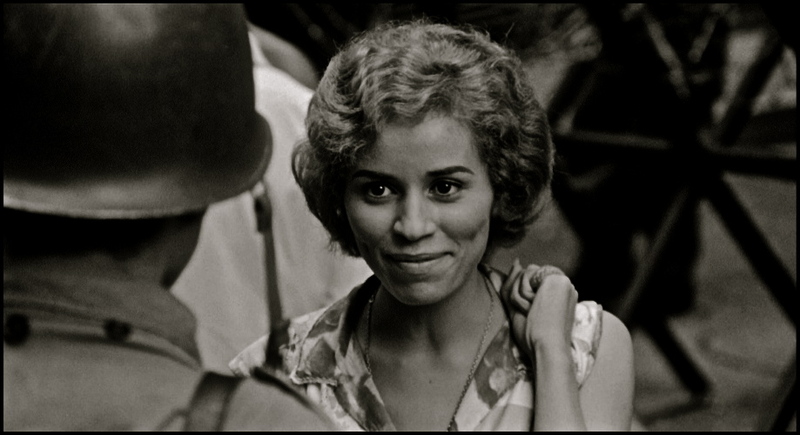 Revolutionary struggle in The Battle of Algiers is also emphasized greatly by the film’s style. As a global audience, we are most accustomed to witnessing events on a mass scale such as political revolutions on the news and as newsreel footage. Watching the film, we feel as though we are watching the news, like seeing historical events unfold. It creates this feeling by means of grainy, low-quality celluloid footage, and hand-held shaky camera angles that more often than not place its audience in the centre of all chaos and hysteria. This is extremely effective when used on scenes of mass, violent protest. At times it becomes hard for audiences to remember that in fact, they are watching a carefully constructed reconstruction. 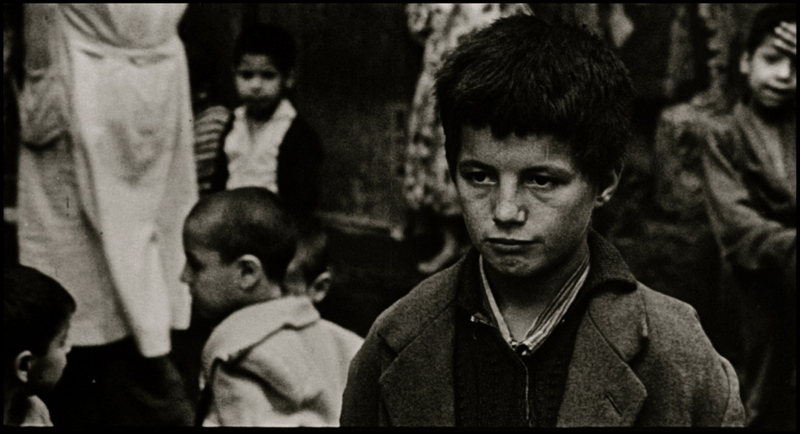 In its aesthetic, the film feels very close to the work of Rossellini and other Italian neorealism directors of the 1940s. 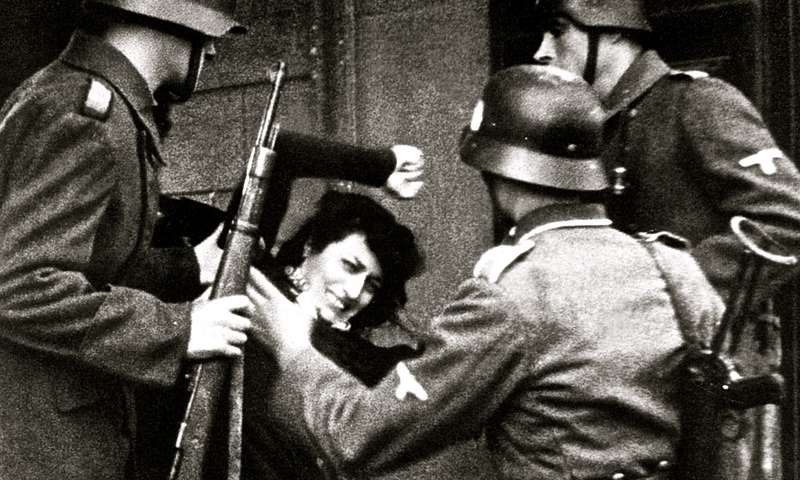 Films such as Rossellini’s Rome, Open City hold strong influence over The Battle of Algiers. The film deploys other specific techniques such as freeze frames, and frequent use of extreme close-ups. These techniques force the audience to see characters as individual lives, men, women and children surviving in a battleground of political misconduct and sociological depression. The film’s music also plays a key role in emphasizing the harshness of its depression. Morricone’s score is a mixed anthem of wary battle-pipes and marching drums. It communicates to the audience that this is in fact a battle, with two sides, equally passionate. After hearing the battleground anthems in The Battle of Algiers, it is easy to see that the music used in Battleship Potemkin bears a stark contrast compared. The music saddens over the deaths of the people in Odessa, and calls triumphant praise over the sailors that take command of the Potemkin. The music clashes and collides like thunder in a rainstorm, much like the conflicting imagery in the film. The concept of bad meat is especially effective in portraying revolutionary struggles since food is a human necessity, a right that all humans deserve. To remove or disturb this right provokes a globalised understanding of tragedy. It is this simple, global understanding that allows us to relate so strongly to the situation in hand. The Battle of Algiers also uses a dire situation of tragedy, communicating to global audiences, not by means of hunger, but by terrorism. In the films most chilling sequence, three women of different ages carry bombs to public places, with intent to kill and destroy. We have just witnessed innocent Algerians lose their lives’ at the hands of the French. So when presented with the notion of three women planting bombs in places of strong community on French territory, it is hard for audiences to refuse vengeance, but equally difficult to accept such disgraceful acts of violence. The film places its audience in difficult situations, communicating more effectively that revolution is at times hard to accept for outsiders. When we are placed with these characters, embedded in desperate crowds of people fighting for their freedom, we understand more as an audience that situations such as terrorism may be far more complicated than we once thought. The film presents this idea to glorious effect. 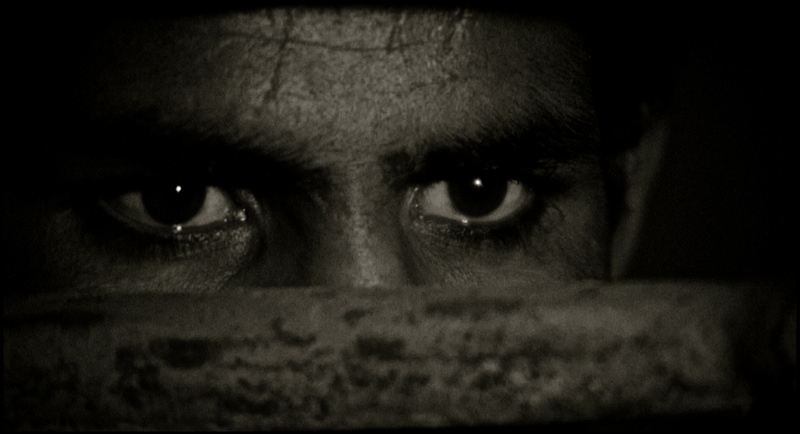 Battleship Potemkin and The Battle of Algiers share a general idea of revolutionary struggle, but at points, present their ideas with very conflicting mannerisms. 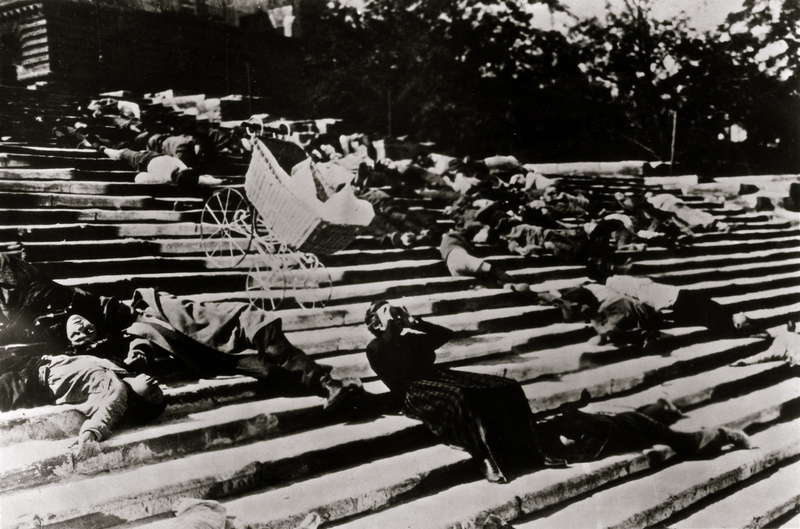 For Battleship Potemkin, revolution is a swing, made of two opposing sides. Each take turns striking and retreating, until justice is done to the more worthy cause. For The Battle of Algiers, revolution is a roundabout, continuing to spin in chaos with no end in sight, until one side gets off or ceases to remain. Present in both films is a sense that, when placed in a situation of desperate need, anyone is capable of anything, no matter how terrible. If the FLN were given as much power as the crew of the Potemkin, they may cause more deaths in their fight for freedom. Without revolutionary struggle, blurred lines appear between right and wrong. So perhaps in the end, struggle is a necessity for successful revolution. Without these confinements, revolution becomes a war of two opposing evils. Barna, Y. (1966) Eisenstein, London: Secker & Warburg. Kuhn, A. 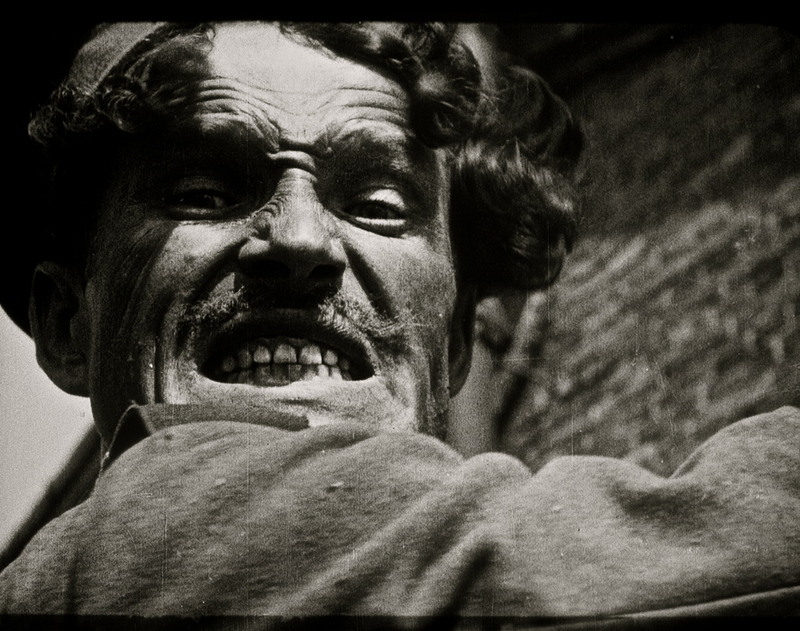 (2007) “Battleship Potemkin”, in Cook, P (ed.) The Cinema Book, 3rd edition. London: British Film Institute. 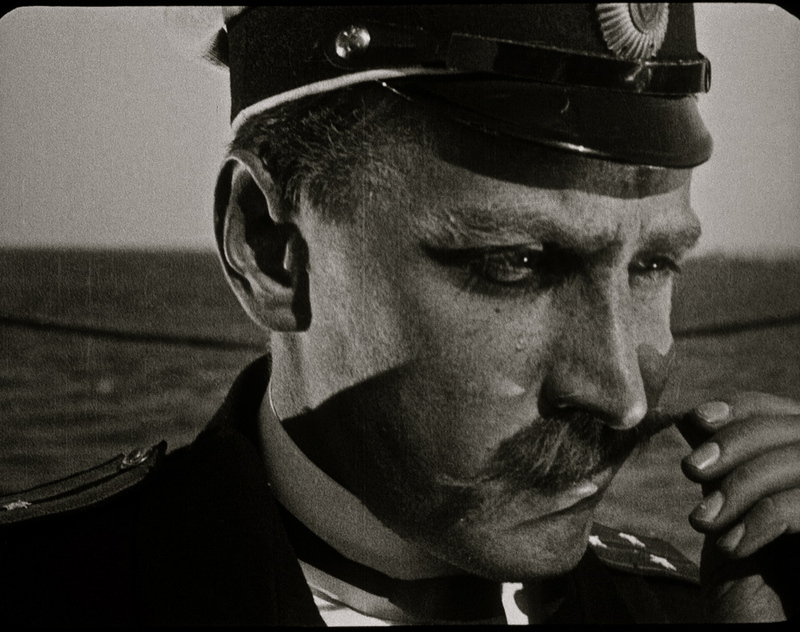 Neupert, R. (2007) “Battleship Potemkin”, in Cook, P (ed.) The Cinema Book, 3rd edition. London: British Film Institute. Great article Darrell, and two wonderful films (three including Rome, Open City). 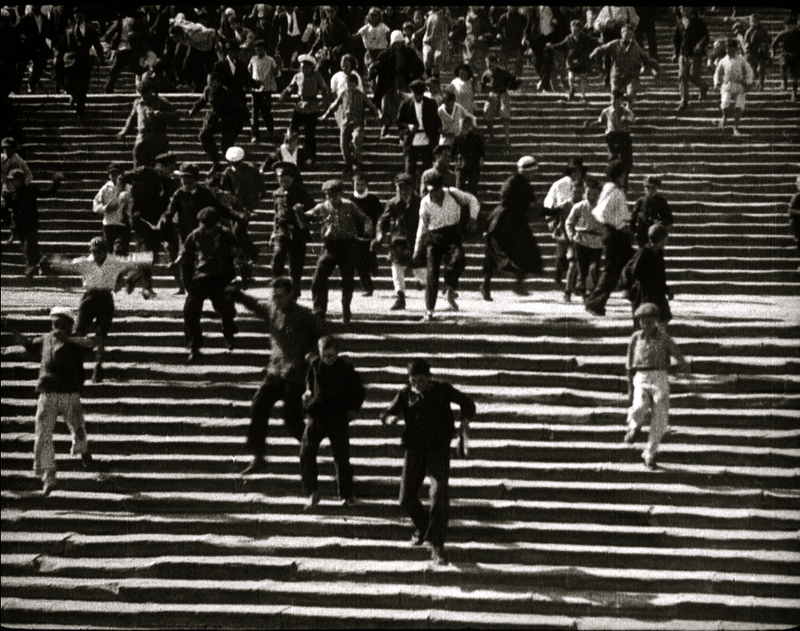 ‘Potemkin’ has become one of the most referenced films ever, and the scene on the Odessa steps has been stolen as an idea in other productions, notably ‘The Untouchables’. ‘Battle of Algiers’ is truly excellent,and despite being comparatively little-known, should be mandatory viewing for any film buff, or serious student of films and cinema.